This item is an art print of the roads of Copenhagen, available in a range of sizes from 11x14in to 24x36in! This piece comes printed on museum-quality matte paper. My Copenhagen map is created from public roads datasets and shows every avenue, road, street, and alley in the city in incredible detail. These images are extremely high resolution, so they look great up close and far away. 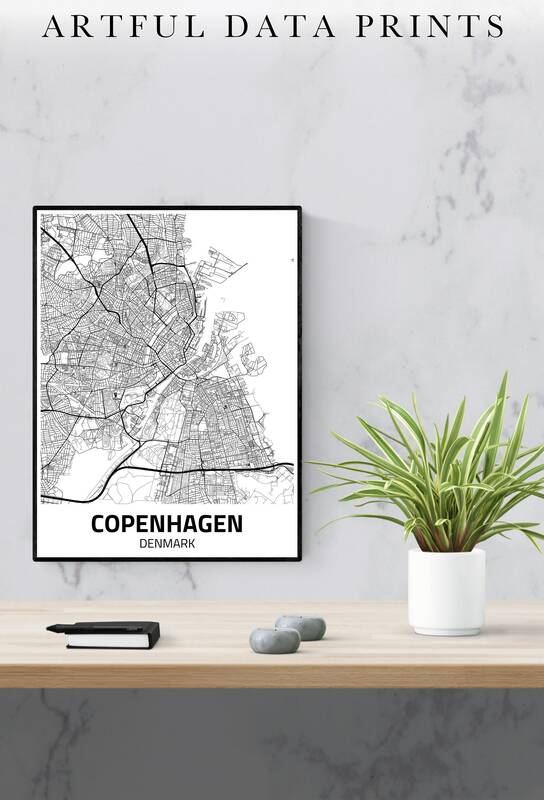 They make great gifts for lovers of maps, anybody with a special place in their heart for Copenhagen, and anyone who enjoys unique wall art!